Soon after I received the Hifiman HE-6 headphone a few days ago, I started posting crazy tweets that reads like “The #Hifiman HE6 is jaw-dropping good! Gotta find me a jaw support.” Some people would probably realize the initial new toy syndrome aura surrounding my HE6 tweets and probably ignored those tweets until after the initial enthusiasm has subsidized. Fair enough, even a full time reviewer like me are not free from common human faults. But there’s no denying that the new headphone from Hifiman is really good and even now my jaw still drops sometimes. After two days of burning in and listening time, I feel now it’s a proper time to start writing a first impression article about the HE6 headphone. When me and my friends first heard the HE5 headphone, we were all floored with the sound signature of the modern Hifiman Orthodynamics. 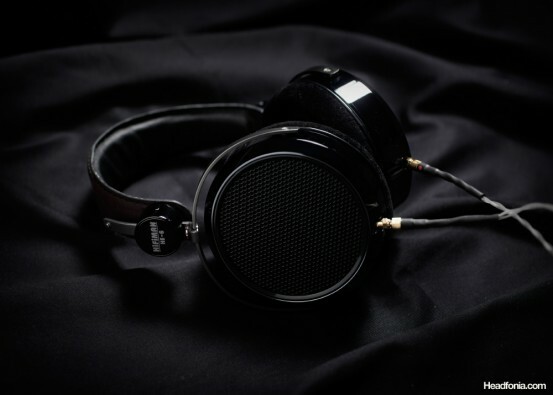 We’re all quite familiar with vintage orthodynamic headphones, and yet the HE5 really brings the ortho driver to enter modern driver territory, and it started to challenge the dynamics and electrostatics establishment. The sound signature was fresh and very engaging, its treble quality, soundstage, and bass impact being very phenomenal not only for orthodynamic headphones but in comparison to other driver technology as well. Soon, however, many people felt that the HE5 was too bright and too fatiguing for long term listening. 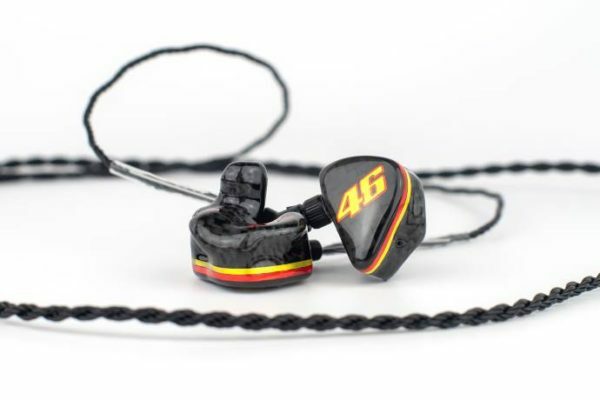 Hifiman then introduced the HE5LE which is noticeably darker, and yet more balanced sounding than the HE5. Although the HE5LE is wonderfully balanced, it couldn’t really create the same wow factor that the original HE5 did. It’s good sounding, but it didn’t have the people-stopping, jaw-dropping power during headphone meets that the HE5 had. Now, Hifiman is back in the market with the HE6, and finally we have another headphone that will cause quite a fair amount of jaw dropping in meets. The beautiful HE6 in glosssy HM-801/602 like finish. It’s a photographer’s nightmare though. 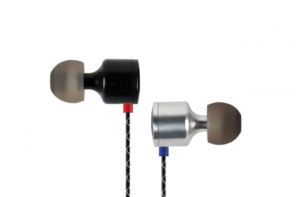 Sound signature wise, the HE6 is more similar to the HE5LE than to the brighter sounding HE5. The HE6 is clearly in a higher league than the fives, and regardless of sound signature preference, almost everyone will opt for the HE6 headphone if given their bank account allows. 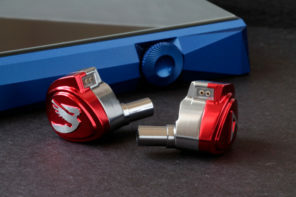 With some gold plate mumbo jumbo in the drivers, Hifiman has created quite a monster headphone that will comfortably compete with all the big boys of the headphone industry. When I first listened to the HE6, I was really floored by the amount of clarity that the headphone has. It was clear, it was transparent, it had a really black background, all of those good things without having the slightest hint of harshness. The clarity of the sound is not a result of treble peaks or other nasty tricks like that. Rather, you feel like you’ve just upgraded your DAC and you’re playing a higher resolution digital recording. 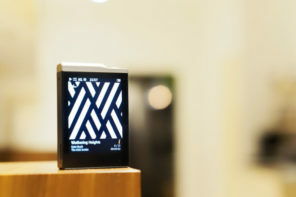 The clarity feels like you’ve added a turbocharger on the DAC and get so much more resolution in return. Yes, the improvement in resolution is the main thing that brings the HE6 to the $1000+ level. In some ways, the HE6 exceed many of these $1000 headphones. The HD800 and the T1 definitely doesn’t have the clarity and the black background, the Omega2, though probably blacker in background, doesn’t feel as clear sounding as the HE6. 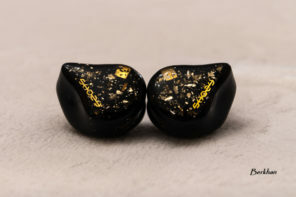 I can’t quite predict how the HE6 will match to the LCD-2, as it’s been a while since I last listened to the Audez’e, but I’m quite sure it will be a good match between the two. The cable is not only the most beautiful among all the Hifiman headphones, but also the most flexible so far. I'm dying to hear your impressions on how the HE-6 fares up against other competitors. It's done. Click on the images to see bigger rez. 😀 I'm trying to add a script to make the whole experience more pleasing though. Yea, but it doesn't work. Something is contradicting with the plug-ins. I've tried three of them so far. Thanks, Kelvin. Thanks for a great read Mike! Will link it to the head-fi thread immediately. I wonder if the imaging problems I had with the HE5 will remain with the HE6. I also hope the "voice without singer" is gone. Imaging and soundstage remains pretty much the same from the HE5LE, which should also be similar to the HE5. As for the "voice without singer" part, I assume that's the same problem I was talking about with the lack of center focus on the vocals. Yes, it's still there, though I find the EF5 to magically help with that department a great deal. You are using the EF5 amp right? Discouraging to read that. Yes, the EF5 did solved it to a degree that was bearable for a time, but I did not get used to it; the sound just was not right, even with the intoxicating highs. I sold both the HE5 and EF5 and decided to go in another direction, which gladly led me to the HD800. Yes, as I've mentioned on the article, that seems to be the case with planar designs. Even the Stax Lambdas do that too. The Omega2 does a better job of creating an illusion of soundstage, but the positioning is not very realistic. Lol. 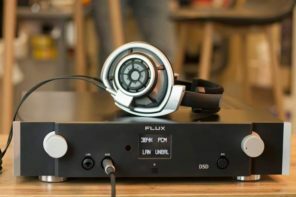 Have you heard of the LCD-2? It's very good actually. I am hoping they are not just big hype, should get it in a couple of weeks. Yep, the LCD-2. Already saw it, I generally read everything you publish here man :). But nothing like listening to the thing, impressions are good to get an idea of where things stand. The LCD-2 you mean? I've heard them and they're definitely good. Not a hype. You can read my impressions if you search for the article under the "Orthodynamics" menu. Then we can do a LCD-2 vs HE-6 shootout. I'm sure people will love it. Did your HE-6 come with an adapter that allow you to plug it directly to a speaker amp? Just asking because plugging my HE5-LE into a speaker amp really made the difference of transforming their darkish signature to a sound that is more punchy, clear and balanced. It wouldn't be hard to plug it in to a speaker amp (I can fabricate an adapter quite easily), but my 300W Adcom seems a bit excessive and I'm afraid it'll be too much for the Hifimans. I'm still looking for a smaller wattage, perhaps a nice single ended tube or a class A solid state to try the HE6 on. Hi .Sup, not sure if I'm going to write an individual HE6 vs HD800 review. But I think I've stated some of the main differences between the two above. The HD800 is still technically superior. Soundstage and three dimensionality, low level details, frequency extension, layering is superior. 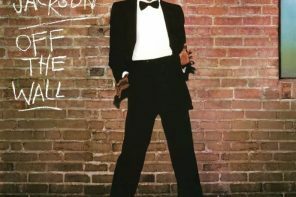 But the sound signature is not easy to pair with many music, especially Rock and other agressive music. Pairing with an amplifier is also a lot more picky, as the HD800 responds differently to different amps. The HE-6, on the other hand, has a more likeable sound signature. It can do Rock very well, it's clarity will impress a lot of people, even those only running it with a basic EF5 amplifier. The HE-6 is more predictable and it gives more consistent results. I think a lot of people will like the HE-6 better. For most mainstream recordings, things like low level details and frequency extension is not that important, so the HD800's technical superiority won't always be readily felt. But the laid-back, lacking attack sound signature will always be felt, and that makes it difficult to enjoy. 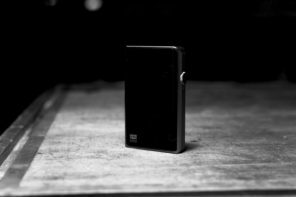 The HD800 works well for me as it allows me to compare DACs very easily, and it also happens to work very well with Beethoven which I listen to a lot. – A high gain Cmoy can drive it, though it distorts after 3 O’clock on the volume. – An SSMH can drive it! (with an IRF610 Mosfet). 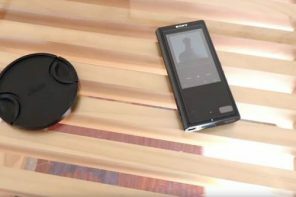 – A Woo Audio 6 was there, and it has a sweet and clear sound quality, far above the previous two amps. Too bad the gain is too low, and we couldn’t get to a decent loudness level even with the volume knob all the way maxxed. 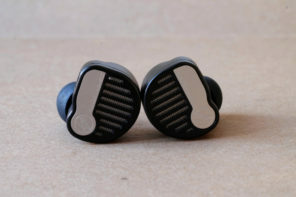 I really want the Woo though for my 300 Ohms Sennheisers. I think the difficulty to drive this HE6 is overstated as I thought that the M-Stage did a fine job driving it. 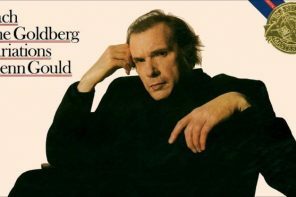 I agree that the treble is magnificent. Crystalline is what I would describe it as it's so clear and yet so smooth. Details are not lacking too. Sometimes with the HE5LE you could feel that the upper mid was a bit etched but it's all gone with the HE6. Definitely the strongest aspect of this can. Loved it! Overall sound signature is similar with the HE5LE and I thought that it's a bit brighter though I won't call the HE6 a bright headphone. The only fault I could find is that the soundstage incoherence is still there. Such a shame considering that it's a bloody good headphone! Brian, the M-Stage had a monster gain and the current capability to back it up. The HE6's difficulty to drive is not overstated — the Woo6 can't barely lift it. You should've tried the SSMH with the HE6. Not the best pairing, but surprising considering it's a "Starving Student" amplifier. Shame I had to go early yesterday. The SSMH would make a very budget solution for the HE6. The SSMH, yes I know it’s quite surprising. But if you can shell out $1000+ for the HE6, you probably won’t have a problem spending $400 for the HE5 which makes a much better pairing. Nice write up Mike. One question, how does the HE6 sound straight out of the HM-801's headphone out? Haven’t tried it yet, Daniel. But I’m really not sure if it will work out of the HM-801’s headphone out. I've tried hooking the Hifiman to two more amps. This gives very good results. 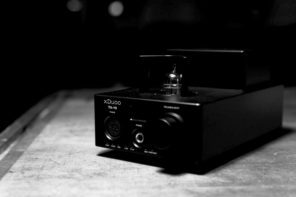 The Zana makes an excellent pre amp that shapes the soundstage image very well. Great depth, imaging, positioning. Truly takes my breath away. Since the Zana OTL can't drive the Hifiman directly, I feed the signal through its preamp out to the Beta22. From there the Beta takes over, and the result is a very clean sound with excellent technicalities from the Beta, added with the superb imaging from the Zana. This gives a great imaging that I can't get from just the Beta22, also a more powerful gain for better driving power with low-level classical recordings. It's close to a $4000 amplifier combo, so the result is unsurprising. The Adcom is a 300W per channel Adcom power amp, designed by the legendary Nelson Pass. It's known for a clean, smooth, and grain free design. With 300W per channel, I think it can drive 10 HE-6s without breaking a sweat. Honestly I would've preferred a lower wattage, cleaner sounding amp, but I didn't have any laying around. Compared to the Beta22 which is a low power headphone amp, the Adcom can't compete in terms of technicalities, noise level, or resolution. The sound is more grainy, has lower extensions, less detail, not as clear soundstage image. However, there is more midrange and low end body, though not too much that it's bloated. The Adcom also deals with the HE-6's lack of center focus better, giving it a better center image on the soundstage. I actually enjoyed the sound out of the Adcom better than the Beta22. This is another $4000 amplifier combo, and probably a bit impractical to use with the HE-6. I'm going to try to drive the HE-6 with a lower power rating amp such as the Gainclone amp or a Destroyer X amp. I doubt all of these speaker amps can match the technicalities and resolution of the Beta22 though. One more thing, I was digging through my old emails with Fang, and he did mention that the price will be $1199. I'll add that in the article. Wow – Am now really wondering if I should trade my HE-5LEs in for a set of HE-6s once they are fully available! Thanks v much and keep up the great work! Tash, the HE-6 is truly amazing, and it's a total upgrade over the HE-5LE (unlike a sidestep upgrade). The OPA627 in a browndog adapter does fit in that small cramped space next to the heatsink. Just make sure you get the SOIC type OPA627, not the DIP. Then get a DIP single to dual channel type browndog adapter. Yes, you should. It's a clear improvement from the HE5LE. Everyone who went to our last gathering is probably sleeping and dreaming about the HE-6 headphone. Do you know when they will be fully released? I also heard rumours of a discount for existing HE-5LE users!? November 4th, if I remember correctly? Also $1199msrp and $899 for HE-5LE users. I may be wrong though. I heard these were heavy and uncomfortable. (I'm coming from HD800 which are heavy but comfortable). Hi, Peter. Yes, it's not nearly as comfortable as the HD800, likewise the weight is quite substantial. The HD800's comfort is probably the best among all full size headphones these days. What do you have to say mike,I know you had the two at diffrent times,but what is your generalised feeling. 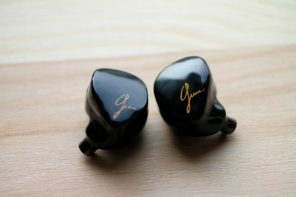 Well, the LCD-2 and the HE-6 definitely share more similarities than compared to the HD800 (dynamics) or the O2 (stats). So in that sense, I have to be very careful about what to say, as the two are very similar and I'm typing this without the LCD-2 around. – The HE-6 has a much more special treble, as shared by Brian earlier. Very clear without the slightest hint of harshness. This is very special, and to be frank I've never heard anything like this. – Midrange on the HE-6 may be more forward than the LCD2. This, I have to verify back. But the LCD-2's midrange is in no way recessed or laid back. – Bass texture may be better in the LCD-2, but I also have to verify this. 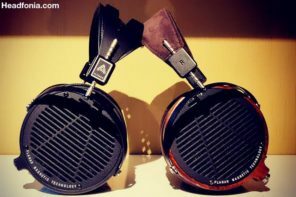 – LCD-2 has better center soundstage coherence than the HE-6. – LCD-2 may be a tad darker, but this also I have to verify. So, that's the best I can do so far. The rest will have to wait until I get them side by side. I wonder what the comparison would be with the LCD2 has someone done one yet. That does seem to be the big question with this headphone. Hopefully one of our buddies can loan us one for a review soon. That was a decent write up of the difference,a nice extensive review we will see in future I hope. I for one am listening to the LCD2's while typing this and can only say they are a tad layed back in the mids. Let us see what the HE6 are like. I don't think the mids are significantly more forward on the HE-6, but from what I remembered, the HE-6 is a tad more forward. I’ve been looking to upgrade my Sennheiser HD600 headphones. 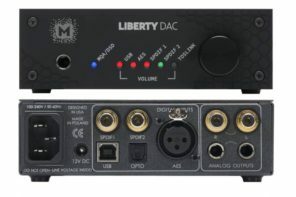 Would I be able to drive the HE-6 with the Benchmark DAC-1 ? Hi Nick, sorry but I’m not very sure about the Benchmark DAC-1. The HPA-2 amplifier unit on the DAC-1 should be quite potent, but I’m not sure if it will handle the HE-6 properly. Thanks Mike. Anyone here have experience with the HE-5 and Benchmark? The HE5 needs slightly more gain than the HD650/K701, and the HE6 a little more than that. If I'm driving the HD650/701 at 9 O'clock, the HE5 would be at 10, and the HE6 at 12. That's just a rough guide. So from there you can see if the Benchmark has enough gain to drive the HE6 to enough loudness. But that's just half of the requirement. At the higher volume level, the Benchmark also needs to be able to supply enough current at that volume (voltage) level. I think a good brand like Benchmark should do quite okay. I'm willing to bet that the Benchmark should have enough current for the job. Unless you like to listen to classical recordings which have a much lower volume level, then often you may not have enough gain to drive it to an acceptable loudness. Great write up Mike, I always enjoy reading your articles. Have you by any chance tried the HE-6 with the Burson HA-160? Would be great to know if it would work. Hi Jack, no chance for now, I'll let you know when I receive the new HA-160D. I received my pair today,listening to them now. I will say we have a winner hear, the bass is a little more tamed then the LCD2’s in a nice way. Thanks for the short impression, Kunal. I’m surprised to hear the difference in detail level. Hi Mike ,what volume level was the Burson on with the HE-6. Sorry, I no longer have my HA-160. Waiting for the new HA-160D to arrive next week. What did you amp the HE-6 in your review. M-Stage, EF-5, Beta22, Zana DeuxA(preamp), Adcom GFA-5802 (power amp). Let’s see how the Burson will do with the HE-6. What about testing it balanced. I’am interested to find out the same,using an audio-gd C-2 amp rated at 1W per channel with 60-100 ohms impedance. I was feeling,using a speaker amp would suite more, and idea on the connection to a speaker amp. I don't know about the HE-6 specifically but I do have a C-2 that I have tried using with my HE-5LE. I find it to be okay but definitely not a great combo. The main problem is basically the one Mike talks about in his article with there being a lack of centre focus to the sound. This can make everything sound a bit distant for certain types of music, particularly vocals, and emphasises the brightness of modern mainstream 'chart' recordings, which generally sound quite thin/tinny. It seems to be less of an issue with classical music so I guess it depends on what type of music you listen to. The other thing to bear in mind is that even with the HE-5LE, the C-2 sometimes feels a bit lacking in power/drive and needs cranking up a long way to get to my usual listening volume (which is admittedly reasonably high)! The HE-6 is reportedly even harder to drive so you might need an amp with a bit more oomph! (I think the HiFiman EF-5 delivers 2 watts per channel for instance?) Overall, I find the C-2 to have a much better synergy with my HD650s, which are naturally warmer and much easier to drive. Anyway, right now the TK2050 D-class speaker amp seems to be the awesome, affordable amplifier for pairing with the HE-6. I was listening to my C-2 with HE-5LE again at the weekend. My HE-5LEs have a few more hours on them now vs the last time I listened to this combo (~400 vs more like 250 before). Things have definitely improved! 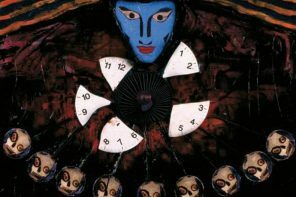 I particularly enjoyed some of my faster music where strong PRaT is a good thing and also the precision and clarity of the classical/symphonic music I listened too. Female vocals remained, to me, the area with room for improvement though – the sound is very detailed, neutral and precise but just doesn't quite draw me in on an emotional/musical level the way my tube amp does! Ah, you're talking about the Audio-Gd C2? I prefer the sound of my HE-5LEs with the cloth removed from behind the grills (I think it improves clarity, particularly in the treble, and tightens up the bass a little). Is this a sensible mod to consider for the HE-6 also? The damping of the HE-6 is a little different than the HE-5LEs, and I haven't tried that same mod on the HE-6 as I prefer the stock sound on the HE-5LE better than without the cloth. Has anyone tried one of these STASIS amp with the HE6? Over on the Planar Asylum forum, Peter Gunn (a maggie speaker expert and innovative upgrader) cites several high current stereo amps that can be found on the used market. Here are a few – Conrad Johnson Sonographe SA250, Classe CA100/150/200, Aragon 2004, Monarchy Audio amps and the Threshold T100 along with the Nakamichis. I've also heard limited use of Rotel, B&K ST140 and Odyssey amps with Maggies. I'm sure that there are others. Of course, there is a caveat with using older amps like this that are no longer in production – parts availability. I'm very interested in hifiman phones and might be tempted to lug my Nak PA5 over to Moon Audio to give it a try on HE5LE/HE6. Would I also need a full-sized preamp? Hi Brad, thanks for the long post. One thing that you should look into is the power output levels. I find that high power (300++ wpc) amps tend to show more noise levels and is grainier sounding than low power ones. Since you don't need the high power output for the planar headphones, it would be better to focus on small wattage, but clean sounding speaker amps. In searching for Tripath amps I came across the Winsome Mouse with the Alps pot. Excellent price for what appears to be a fully assembled version of the hifimediy tripath…especially for someone with little to no DIY skills. Have you seen or heard the Mouse? Looks like very nicely built amps with nice Hammond enclosures. The product page lacks some specs though, and I can't see which chip they are using for the amp. The Monarchy Audio SM70 monoblocks might be a very interesting match and they can be operated in balanced mode using the XLR input terminal. These go used for between $600-800/pair. The TK2050 amps sound intriguing at 80wpc. My nakamichi is rated at 100wpc into 8 ohms. Are all TK2050 amps created equal? Parts express has a dayton model for ~$100 but theres no info on parts. I understand for the HE6s i would need to use the speaker taps instead of the headphone out as ive read the 1/4in out is op amp powered and not tripath powered. The hifimediy guy seems to be having chip issues now. Any recommendations? Oh, they have problems with the chips now? I am not aware of that. I personally like trying out new stuff, and for $100, why not give the Dayton a try? I JUST BOUGHT THE HIFIMAN HE-6, I NEEDTO BUY AN ADAPTER CABLE ONE END CONNECTS TO THE HE-6 THE OTHER END CONNECTS TO SPEAKER OUT PUT TERMINALS ON YOUR AMP. WHERE CAN I GET THIS CABLE? Your best bet is to contact Hifiman. But also, check with Whiplash Audio and ALO audio. Both are our sponsors and they make excellent cables. 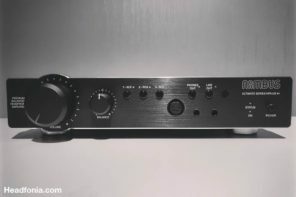 After reading your review of HE6 and Tripath Amp, I buy HE6 for using with Poppulse T150 MKII (90w Tripath amp). I think I can end my headphone journey with this setup. Really wonderful sound, treble and details to die for. HE6. The sound is very clean and grain free too. Mike, what dedicated headphone amps (not speaker amps) have you found that do a good job of driving the HE-6 without spending a crazy amount of money on something like a DarkStar? None, that’s why the speaker amp recommendation. I’m not sure that is tk2050 amplifier very good for its price or really good regarless of its price. I didnt try tk2050, but I try he-6 with Nad c326bee in a store and result was amazing. This integrated amplifier is entry level amplifier and I couldn’t think tk2050 amp can’t close the Nad 326bee in terms of detail, musicality and dynamics. Did you try he-6 with integrated speaker amplifier? Another question in a different direction is about need of he-6. Does He-6 need one thing: power ? 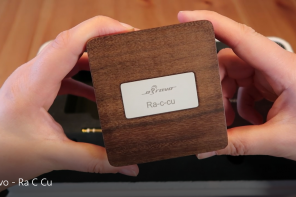 We know that top level dynamic headphones need high quality headphone amplifiers, but I read on a lot of websites that he-6 isn’t need high quality amplifiers as i.e. 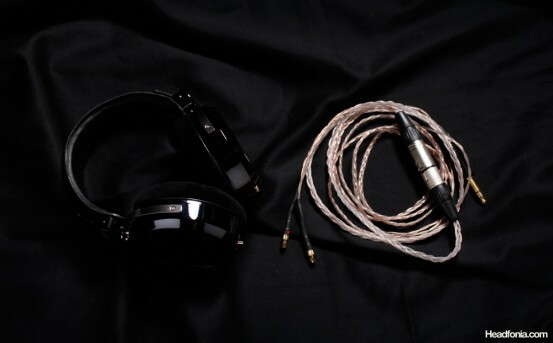 high level senn./beyer headphones. This occurs because of low sensitivity ortho drivers of He-6. Do you agree with this? Do you think WA7 is powerful enough to handle HE6 ?